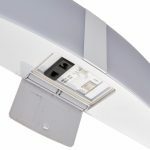 This Endon Onan 2 Light LED bathroom mirror light with shaver socket and pull switch in white and rated IP44 is modern and practical. 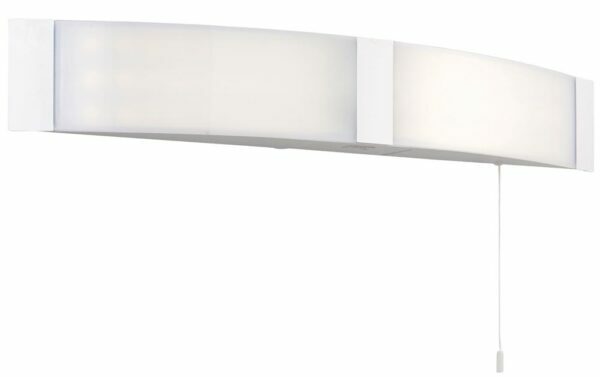 Rectangular wall mount, central and outer sections in white and curved opal polycarbonate shades housing two 6w LED modules, with concealed dual voltage shaver socket and and pull cord switch. 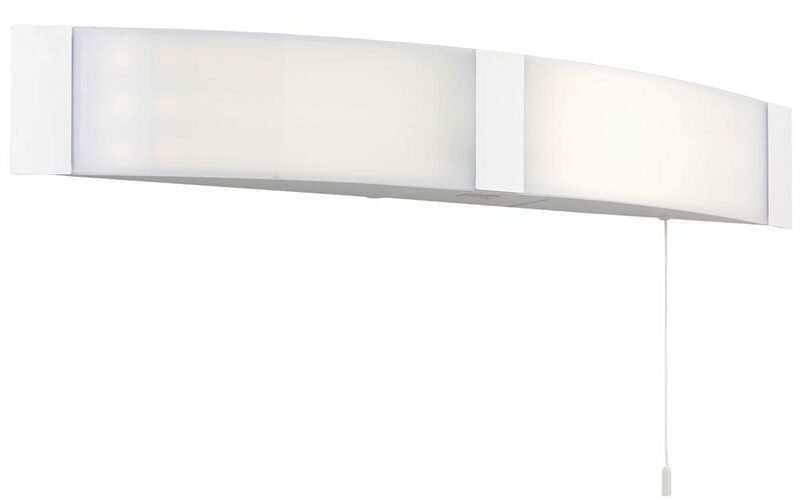 A sleek, curved dual function bathroom light that is ideal for installing over a mirror or on the wall. Rated IP44, suitable for zone 2 and specifically designed for use in bathrooms but can be used anywhere inside your home except wet rooms. Suitable for zone 1 if protected by a 30MA RCD. Manufactured by Endon Lighting, a design led business who lead the way in style and innovation to create an impressive range of products such as the Onan 2 Light LED bathroom mirror light with shaver socket and pull switch in white and rated IP44 you see here.